People paint and install barn quilts as part of their outdoor gardening and landscaping projects. Rural Communities connect with the travelling public. 2. Celebration of rural culture and diverse peoples. Crossed Canoes: Travel on the Thames, Wardsville. Protect (or at least appreciate) heritage barns. 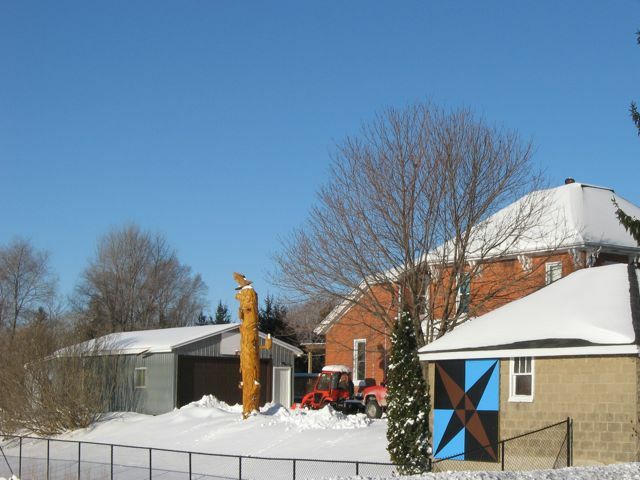 Use barn quilts to tell the story of successive waves of immigrants to rural Ontario. Elementary and secondary school levels get involved. Barn quilts enhance curriculum – local history, agricultural heritage, geometry, textile arts. Youth teach community leaders and businesses to use social media. 4. Artists and artisans connect with their community. 6. Rural communities become more techno-savvy and narrow the “digital gap”. 7. Travelling audiences access detailed information prior and during trip. 9. Rural Ontario’s unique and authentic cultural resources are highlighted. 10. New opportunities for economic growth, employment and wealth creation across Ontario. 11. Increased tourist visitation to Ontario.